The latest drug with harmful side effects now being targeted in litigation is an anti-psychotic medication known as aripiprazole, sold under the brand name Abilify as well as in generic forms. Now, to be fair, the company that manufactures Abilify, Otsuka Pharmaceuticals, did warn that patients taking the product could be subject to uncontrollable impulse behaviors – among them, gambling addiction. This warning appeared on packaging in the European Union and Canada. However, until quite recently, there was no such warning on US packaging. Abilify is what is known as an “atypical,” or second generation antipsychotic medication. These drugs are used to treat schizophrenia as well as bipolar disorder, autism, Tourette's Syndrome and general depression. Abilify specifically increases the amount of dopamine in the brain. Dopamine is a chemical released when engaging in pleasurable sensations. It is essentially part of the brain's “reward system.” Dopamine helps to reinforce behaviors that promote well-being and survival. Since it received FDA approval in 2002, there have been over 180 reports of impulse control issues associated with taking Abilify. Impulse behaviors that have been reported include binge eating, compulsive shopping, indiscriminate sexual behavior and gambling. According to the FDA, these behaviors cease after a patient has stopped taking Abilify or cuts back on his/her dosage. Today's labeling does include compulsive gambling as a possible side effect, but that warning didn't appear until recently – and the FDA says it failed to note the true risks. Oddly, a warning about compulsive gambling has been included on warning labels in overseas markets for some time. The European Medicines Agency ordered Otsuka to warn patients of hypersexual and pathological gambling behaviors brought on by the use of aripiprazole in 2012. Three years later, the Canadian public health administration, Health Canada, confirmed links between such compulsions and treatment with Abilify. Meanwhile, in the U.S., the FDA received a total of 108 reports of compulsive behavior over the eight-year period between 2005 and 2013. 54 of these cases involved pathological gambling. In 2014, the FDA received nearly 40 more such reports. Yet, no adequate warning was issued by the manufacturer to U.S. patients until this year. 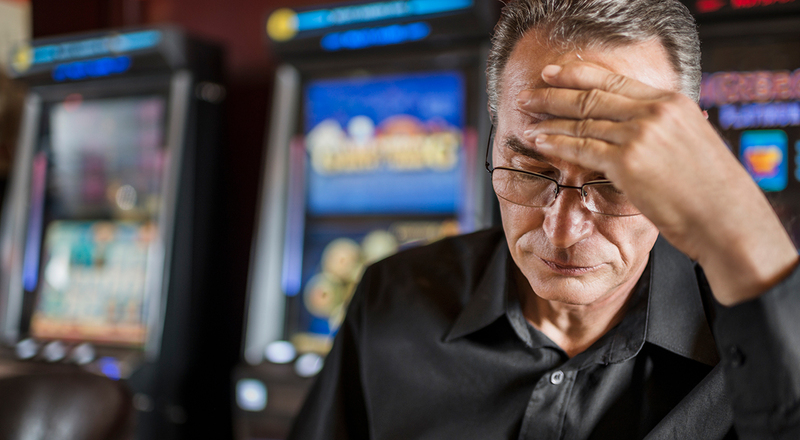 For the families of many plaintiffs whose lives have been affected by a member's excessive gambling behaviors, that warning is too little, too late. Otsuka executives have known for years about the connection between aripiprazole and compulsive gambling – the only question is, why were U.S. consumers not told of this sooner? Perhaps the fact that 1.6 million prescriptions were written for Abilify in the U.S. in 2015 alone explains part of it. If so, it isn't the first time that Big Pharma has put profits ahead of patients – and sadly, until there are major changes in the U.S. health care system and the profit motive is removed, it won't be the last.